Termites are the tiny white monsters that destroy wood and different wooden works. The termites can easily infest any place with good availability of food. The white monsters feed on the cellulose found in wood which is an integral part of the wood. Thus, the termites are potential threats to the doors, windows, furniture, books/papers, antique decorating items and other creations from wood. 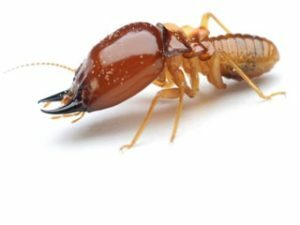 If you suspect the presence of termites in your property, contact the pest control Melbourne team at Enviro Safe Pest Control. The termites inhabit in tropic and sub-tropic areas but also get adapted to other climates. These white monsters have the longest lifespan, and the queens live up to 40-50 years. The termites inhabit in colonies, and a single colony may consist of millions of termites. A colony consists of workers, soldiers, nymphs, reproductive males, and females. Size, shape, and works of the termites in a colony vary. Causing severe damages to woodworks, buildings as well as crops, the termites cause huge economic loss. If you see any of these signs or symptoms in or around your property, you should take immediate action for termite control before the infestation gets severe and you suffer from huge loss of property. The best way to get rid of termites is to have a team of pest control experts at your side. When you approach us for your termite control needs, we will come to your home and provide a thorough inspection to determine the severity of the problem and the right treatment method. Our exterminators can develop solutions that will minimise the use of chemicals in your home. Enviro Safe Pest Control assures you that your property will be free from these pests with our termite control treatments. Call us today at 1300 997 272 to know how we can help you with your termite control needs! The termites are well known for damaging properties, but these white monsters also are responsible for affecting human health! Apart from the insecticides, you can also implement certain home remedies to eliminate the termites from your property.